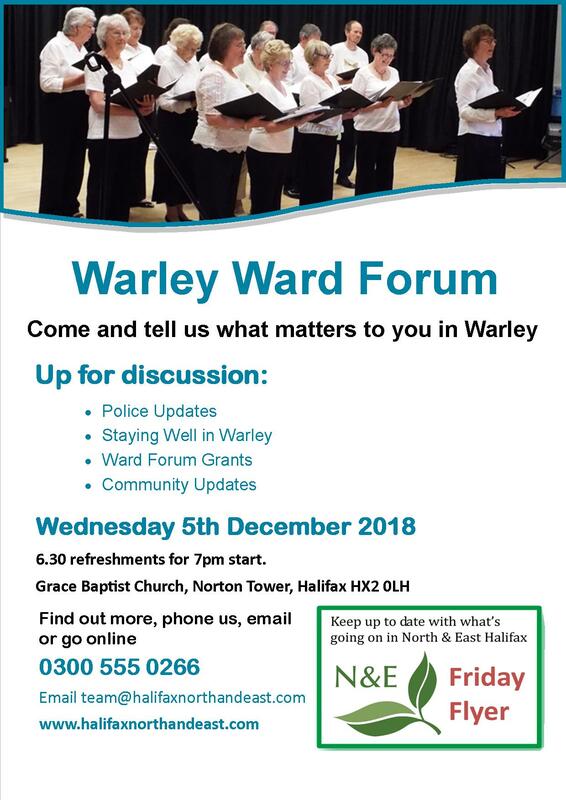 Just a reminder of Warley Ward Forum on Wednesday 5 December 2018, 6:30pm at Grace Baptist Church, Norton Tower, Halifax HX2 0LH. This is your chance to have a say in what matters to you in the Warley Ward and surrounding areas. 6:15pm refreshments and signing in. 7:00pm meeting begins.